Colour has always played an important yet often poorly understood role in marketing. When we look at all the major brands that are out there, nearly everyone can associate a specific colour or set of colours with that individual brand. They build their entire brand personality around a particular colour and try to incorporate it into all of their activities and communications. They do this in an attempt to create a strong association between a specific colour and their brand, increasing the recall of their brand as we go about our daily activities. Take Coca-Cola for example. Immediately the color red springs to mind, strong, solid and saturated red. A really vibrant red. Other major brands that have dominated a particular colour include Guinness with the dominant colour black; JCB and yellow; Facebook and blue; Apple and white, Cadbury’s and purple and then there are the multicolour brands e.g. Google and eBay. How much thought and research goes into the colour selection of these selected brand personalities is not obvious but the research does suggest that in many instances there is support in the use of colour to reinforce brand personality. Cross-cultural differences in the response to color stimuli is another area which companies need to focus on when marketing their brands on the global stage. Companies cannot just presume that one color will be interpreted the same in all geographical / culturally diverse areas. Studies by a number of researchers demonstrate this; for example, the colour red is associated with fear, anger and jealousy in Germanic and Slavic cultures, while in Chinese culture it is associated with happiness and is regarded as a lucky color. 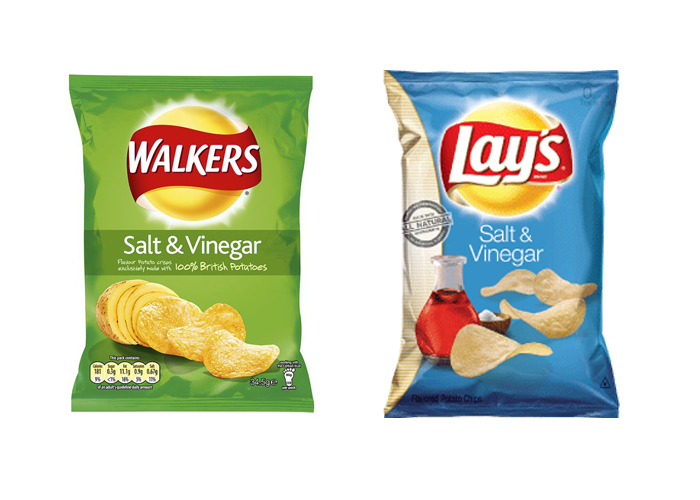 Walkers, also known as Lays on the European continent demonstrate a prime example of cross-cultural effects of colour in how they market their Salt and Vinegar crisps differently in the UK and Internationally. There is no logical reason for such a variation in terms of the colour of the packaging apart from cultural preferences to color and brand recognition based on experimental data. 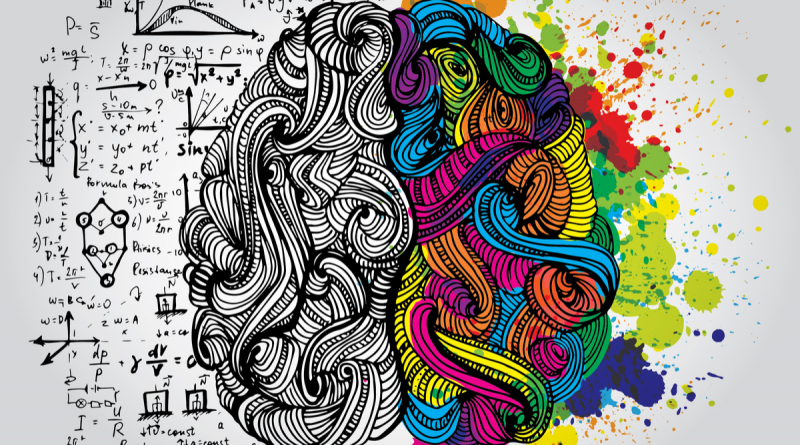 Not only can colour be interpreted differently across different cultures, it can also affect our behaviour and responses in different environments. 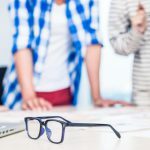 Researchers found in one particular scenario that in fashion-orientated stores, blue interiors are associated with more favourable attitudes and responses, higher store loyalty and higher purchase intentions than stores with orange interiors. Interestingly it was noted that by adding either fast music or soft lighting to the orange interior it counteracted this effect. Another group of researchers found that users perceived the time it took for a webpage to load was shorter when under blue conditions as opposed to red. 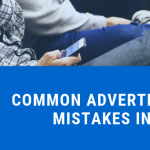 Another major example of the use of color in marketing practice is to influence the consumer to take specific actions in the online environment. Many examples can be found online of what is termed A/B testing, where marketers split test different colors of calls to action on a page to see which have the highest click-through rate. This phenomenon is also used heavily in the retail environment where we are given visual cues in supermarkets to try to influence us to purchase deals or multibuys. 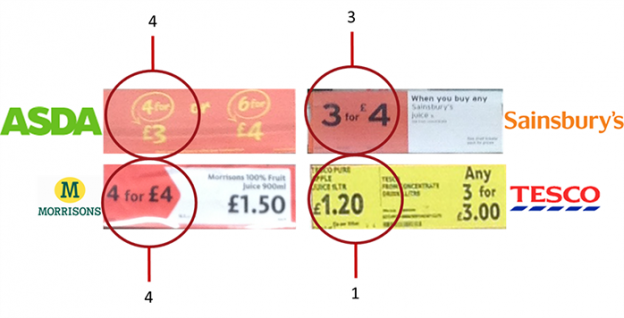 The figure below shows how the main supermarkets attempt to influence us with the colours yellow and red which are dominant across the different supermarkets. Colour is everywhere and it has a powerful effect on us and marketers know this. Next time you are out and about or browsing online, stop for a minute and try to notice the colors all around you. Look at the colors brands use to try to create associations in our brains and enhance brand recall. Look at the interiors of your favorite fashion/clothes shops and see if you notice a pattern. Look at the different calls-to-action on websites and in supermarkets and notice how the colors are used. Color is everywhere and it has a powerful effect on us and marketers know this.